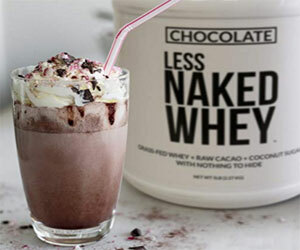 Home gyms are becoming more and more common among fitness enthusiasts, bodybuilders and athletes. Why keep paying for expensive ongoing gym membership fees when you can have your own personal gym at home? With time, all the gym membership fees you've paid could have already bought you a home gym. With a gym, it's like once you stop paying, you stop training whereas with a home gym, you can train for a lifetime after your initial investment. If you have sufficient space at home and adequate budget for a home gym, buying one can be one of the best investment you'll make for your fitness or muscle building goals. There are many types of home gyms those under $1,000 and those around $2,000 or more. If you're on this page, most probably you're looking for a mid-range price home gym around the $2,000 mark. If you are really serious about training and want to make real progress, a mid-range price home gym is your best bet. One of the primary reasons is the weight stack which gives you more weights for progressive overload. With time when your muscles develop, you'll need more resistance once you hit a plateau, this is why having an impressive weight stack is required to keep fostering muscle growth, so it will take more time for you to reach a plateau if ever. After thorough research and analysis, the best home gyms for $2000 price range are awarded to Bodycraft Galena Pro Home Gym and Bodycraft Xpress Pro Home Gym. Here at Body-Building-Resource.com, we wholeheartedly recommend both these home gyms which are high-quality and amazing value for money. Pretty sturdy with heavy gauge steel tubing, this is a really compact home gym which provides dual-function pecdeck, chest press, leg curl, leg extension, lat pull-down, abdominal crunch and more. With the low pulley station, you get plenty of room for exercises like leg kicks, low rows, arm curls, deltoid raises and more. Thanks to the precision-milled 200 pound weight stack which can be enhanced to 300 pound due to the maximum comfort that offers added resistance, you have plenty of weights for progressive overload or more than you will ever need. 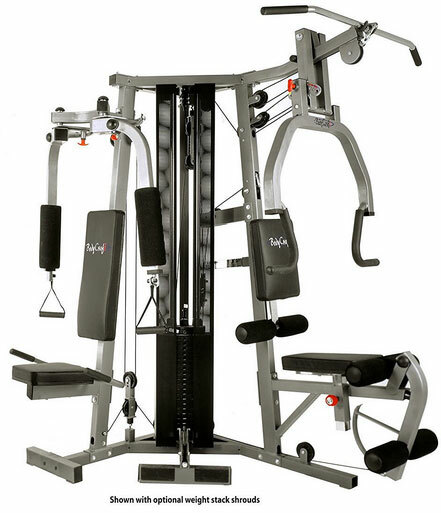 Product dimension is 72(deep) * 58(wide) * 81(tall) inches and weight is around 300 pounds, so you're getting a pretty robust home gym machine. Priced just under $2,000, this in an awesome home gym for long term use. Comes with a limited lifetime manufacturer's warranty. The Bodycraft Xpress Pro Home Gym is an advanced version of the Galena Pro Home Gym and has been rated a Best Buy by Consumer Guide ®. One thing which I really like about it is the optional leg press, one of the best leg exercises for targeting several muscle groups at once like the quadriceps, hamstrings and glutes. The Xpress Pro also comes with a 200 pound weight stack but with the bench double-up feature, you'll be able to increase the max bench press from 200 pounds to 400 pounds. This also means you can perform leg presses at a maximum of 400 pounds. This is a really powerful feature of the Xpress Pro. The iron weight stack is exactly what you would use in your local gym. With a wide array of exercises you can perform including chest presses, shoulder presses, leg extensions, leg curls, leg presses, leg lifts, lat pull-downs, arm curls, triceps pushdowns, triceps extensions, ab crunches, upright rows, seated rows and more, a challenging workout awaits you. Product dimension is 83 inches deep, 57 inches wide and 82.75 inches tall but with the optional leg press station, that would give 91 inches deep and 85.5 inches wide and weight is around 300 pounds. 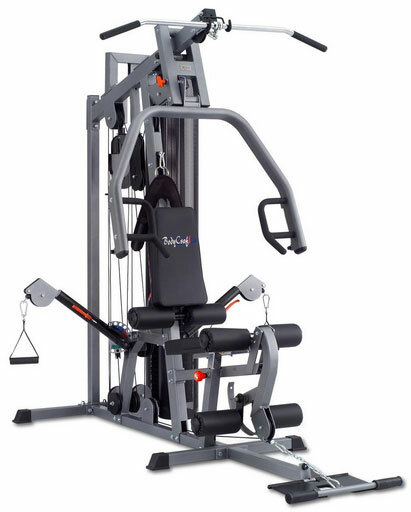 Priced just above $2,500 and backed by a lifetime guarantee, this is simply a terrific home gym machine of commercial-grade quality that you can use for many many years to come.